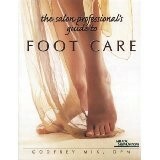 This comprehensive book is written for the nail professional from a licensed, practicing podiatrist's point of view. Learn the historical development of the foot, foot anatomy, systemic diseases, common foot problems and more. This book can be used as a basic learning tool for those who wish to understand and learn about the foot and it also serves as a general reference for those who desire to gain understanding of a particular area of interest concerning the foot. Click here for more information or to buy this book. The diabetic foot is a victim of nerve damage, micro- and macrovascular disease, and faulty healing, mechanisms that without proper care can lead to amputation. More than 80,000 diabetes-related amputations are performed in the United States each year, but non-specialist primary care providers, as well as residents, nurses, and diabetes educators, can help prevent this devastating, life-altering, and expensive complication. 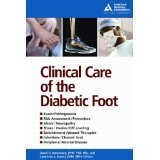 Health care professionals and students alike will find that this concise, easy-to-use, and updated guide offers practical advice on detecting and managing diabetes-related foot complications, including information on Patient risk factors and preventive footwear Conducting comprehensive foot exams Wound care: debridement and offloading Managing infections and faulty healing Charcot foot and peripheral arterial disease. 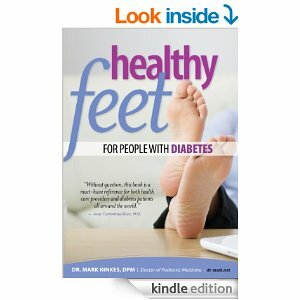 101 Foot Care Tips For People With Diabetes is an excellent self care guide and reference for diabetics and their caretakers. Questions about exercise, the relevance of blood sugar control, nail clipping, choosing appropriate footwear, what to do about ingrown toenails, and preferred forms of exercise with diabetic foot complications are answered. All questions are succinctly explained with authority. Types 1 and 2 boxes at the top of the page tell if the question refers to both or either types of diabetes. Amusing illustrations lighten the tone and pique interest. 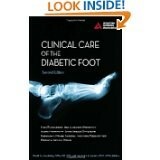 Chapter 11 lists additional resources valuable to the diabetic. 101 Foot Care Tips For People With Diabetes is a good manual for any diabetic. Its brisk, no-nonsense explanations of complex interrelationships of diet, exercise, skin care and health management are presented in unavoidably clear lay terms. A practical clinical manual for the diagnosis, treatment - both medical and surgical - and the long-term care of foot problems in people with diabetes. The authors are world-renowned experts in this subject and they present the internationally recognized best practice. The clinical chapters are presented in a structured, color-coded format to allow easy reference. The text also includes highlighted best clinical practice tips. Healthy Feet for People with Diabetes is the most comprehensive, easy-to-read guide for prevention, treatment, and self-care of foot problems; practical information which is vital for people with diabetes and their caregivers. The 20 concise, yet thorough, chapters start with a focus on prevention. Using easy-to-follow directions, such as how to wash and dry your feet and inspect your socks and shoes, the book carefully explains what steps to take to prevent diabetic foot lesions. As it progresses, the book delves into descriptions of most common foot problems -- everything from skin and toenail troubles to warts, tumors and cysts -- along with directions on how to manage these issues. Dr. Mark Hinkes could not help enough people with diabetes fast enough. Amputation due to complications from diabetes is an international problem affecting people all over the globe "Every day I see people losing legs needlessly, and I see the pain both physical and mental about this and how it changes peoples lives mostly for the worse." 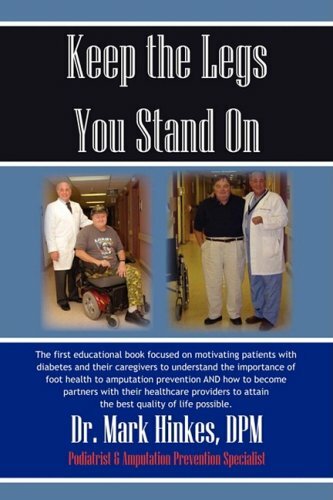 This is the first educational book of its kind to motivate patients with diabetes, the parents of children with diabetes, and their caregivers to understand that amputation prevention is the issue of silent or painless trauma and how to become partners with their healthcare providers to enjoy the best quality of life.